“Some of the most significant things happen in history when you have the right people, in the right place, at the right time. And I think that is where we are.” These are some of the last recorded words of Chokwe Lumumba, the late Mayor of Jackson, Mississippi, to describe the social transformation he was helping to promote and implement in the city. Cooperatives, solidarity economies, and economic democracy were and are central to the process of social transformation that the late Mayor was addressing. The Jackson Rising: New Economies Conference, which is taking place from May 2nd through May 4th at Jackson State University, is not only going to serve as testimony to the vision and legacy of the late Mayor, it will also serve as a vehicle to help foster the development of cooperatives and other types of worker owned enterprises in Jackson. 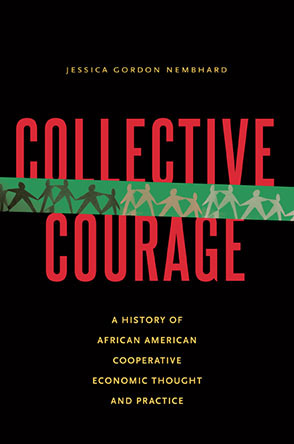 One emerging cooperative vehicle is Cooperation Jackson. Cooperation Jackson is being developed by many of the organizers of the Jackson Rising Conference who have been deeply moved by the Jackson-Kush Plan, and want to see its vision of economic democracy realized. The vision of the Jackson-Kush Plan was produced by the New Afrikan People’s Organization and the Malcolm X Grassroots Movement, and served as the programmatic anchor for late Mayor Lumumba. The broad mission of Cooperation Jackson is to advance the development of economic democracy in Jackson, Mississippi by building a solidarity economy anchored by a network of cooperatives and other types of worker owned and democratically self-managed enterprises. The vision of Cooperation Jackson is for it to function as a network of four interconnected and interdependent institutions: a federation of emerging local worker cooperatives, a cooperative incubator, a cooperative education and training center, and a cooperative bank. The Jackson Rising: New Economies Conference will not only be a major coming out party for Cooperation Jackson, it will also be an opportunity to educate a broader base of the population of Jackson and Mississippi about cooperatives and solidarity economics, and to explore and develop more extensive links between all of the movements for economic justice and democracy in the South - the movements to unionize labor, to raise wages and living standards, to end the Right to Work regime, and to respect, protect, and fulfill the human rights of all workers. We strongly encourage everyone who believes in cooperatives, solidarity economics, economic democracy and justice, and human rights to join us in Jackson, MS for the Jackson Rising: New Economies Conference. Help Jackson Rise and transform the United States.